We continue to have a team of researchers working on an evaluation of the impact of the Uwezo initiative in Kenya. 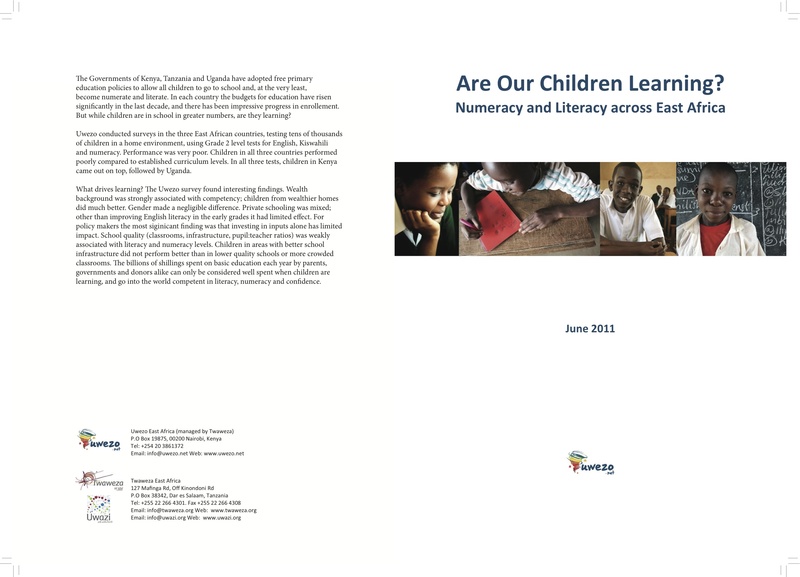 Last week, Uwezo released this report on numeracy and literacy across East Africa, based on the results of their 2010 assessments of student learning in Kenya, Uganda, and Tanzania. Several news outlets covered the release, including The East African, which highlighted the finding that performance is not tied to the quality of infrastructure but to the quality of teaching, including the amount of time teachers give to children. In my visit to a handful of rural schools in Kenya last month, in several of the classrooms I visited, the room was packed with students… but no teacher! But the report also points out that Kenya is performing best in the region. While Uwezo’s study is intrinsically important for understanding development trends in the region, our research is quite distinct: We are focused on how citizens react to such information, and over the next few weeks, we will be studying attitudinal and behavioral responses to the release of the report and related campaigns.